Happy New Year! Welcome back to another year of ArchSmarter. Like many of you, I always try to start the new year with some resolutions. One thing I want do this year is to get really efficient in my work. I want to squeeze every ounce of productivity out of my working time so I have more time for myself and my family. My goal this year is to work smart, REALLY smart. 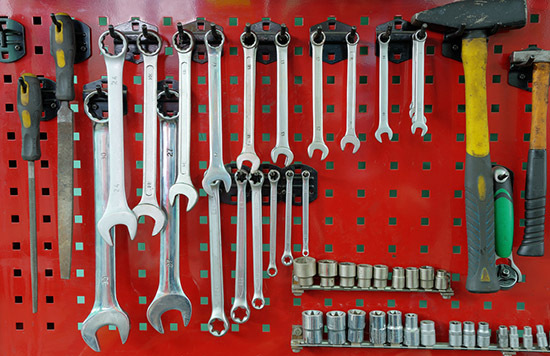 One easy way to get more productive is to add good tools to your toolbox. Revit is great out of the box but sometimes you need it to do something a little extra. Fortunately, you can extend Revit’s capabilities though apps and add-ins. A couple of months ago, I asked members of the Revit Users group on LinkedIn to list their favorite Revit apps. There were a lot of great apps recommended by the group. Here’s the list of top 10 apps you should be using in 2015 (plus an extra one at the end from ArchSmarter). Easily link your Revit data to Excel. Starts at $850 (USD). Cool enhancements for the already super-useful Section Box tool. Free. Export Revit to Navisworks NWC format. Free. Manage and arrange your open Revit windows. Free. Batch export and print from Revit. Starts at $49 (USD). A variety of productivity apps. Free. Very cool visual programming environment for Revit. Really powerful. Free. Display parameter values by color in any view. Starts at $99 (USD). Automatically create information-rich wall types. Free. Sophisticated program, room and FF&E tools. Contact for pricing. Yes, I did mention there was a special bonus from ArchSmarter. Sign up for ArchSmarter updates and get access to the ArchSmarter Revit Macro Library. From the library, you can download all of the macros that I have posted so far on ArchSmarter. These macros will help you easily create new sheets and views, delete unused views, create walls from lines and rename just about everything in your Revit model. Plus I’ll be adding new macros to the library each month! Enter your email in the form below to access the library. So what Revit apps are you using? Leave a comment below with your recommendations. BIMobject App allows you to access the world’s best manufacturing family content directly from Revit. Free to use for all designers. Sadly CASE apps are no longer available. Good point Duncan. I’ll take them off the list. I found this a very interesting, very simple, and yet very powerful tool. With TitanBIM you can easily divide one or several Revit models into a few, or hundreds of NWCs files that can then be appended into a Navisworks model. In the short term you can easily divide your available Revit models using criteria like, systems, location (e.g., first floor, parking area, sector A, etc. ), discipline (e.g., concrete, mechanical, electrical, structural steel, etc. ), or any other criteria that you wish (e.g., Structural Steel Beams Floor 1, etc.). If you use some creative naming convention (i.e., a coding system) for the NWCs files created with TitanBIM, the Selection Tree within Navisworks becomes a very powerful kind of WBS, or Model Breakdown Structure, that facilitates an incredible rapid way to review an integrated version of your project model. This is especially beneficial when the model review is carried out not just by a single individual, but when you use your model in meetings or sessions that involve up to 20 persons or more. In the medium and long term I envision asking each model author (e.g., Architect, Structural, Mechanical, Electrical) to follow an established procedure to add a value to the ‘Mark’ parameter that will allow the easy creation of Integrated Models downstream without extra effort upstream. I also envision TitanBIM helping out when trying to divide and then merge BIM models to be used with BIM 360 Glue. I actually have glued some NWFs files composed of several NWCs directly from Navisworks and the outcome reviewed on my iPad is really very useful. Finally, just the TitanViewer coming with TitanBIM, even without using TitanBIM to export NWCs files, is in itself a feature that will help to have a kind of “filtering” option within Revit friendlier than what Revit has now. I envision TitanBIM as a very promising tool that with the appropriate processes and procedures will lead the implementation of BIM to higher practical levels of implementation that so far have just been part of theoretical discussions. Is anyone familiar with the now extinct Pop Icon tools. Very nice and simple tools specially for structural engineering. Does any body knows of something similar or even better? If you have to handle loads of information on your Revit models I’d like to share this add-in that helps extract data and provides information in an easier way. I’d really appreciate some feedback and comments on it! Hope you find it very useful! !